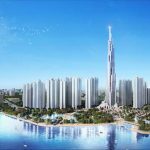 If the Landmark 81 was built with the image of solid bamboo, Empire Tower 88 Tower was developed and inspired by images of hills and terraced fields of Vietnam. 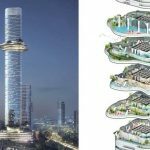 Find out why today, the name Empire 88 Tower in the Empire City project attracted the attention of professionals as well as real estate investors? 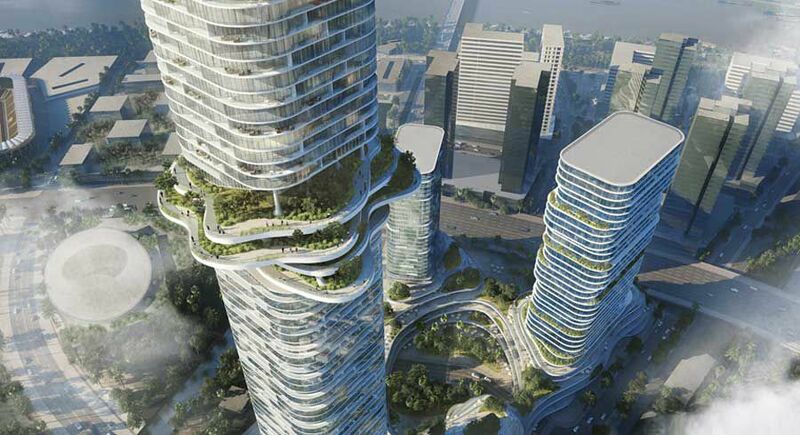 Empire 88 Tower is an iconic tower located in the project of Empire City in Thu Thiem new urban area. 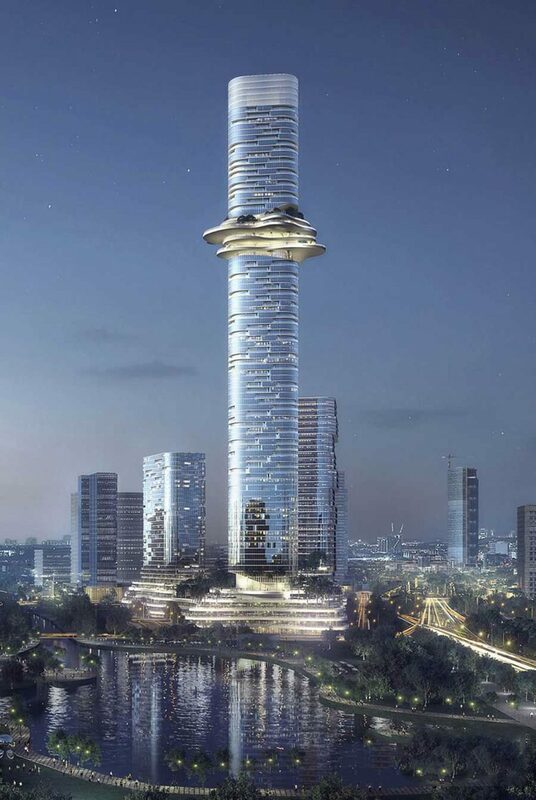 This is a tower with a unique combination of architectural and natural resonance, it is assessed that will change the whole face of the city planning. Empire 88 Tower consists of three skyscrapers in it, the central tower is 333m high, has a cubic structure to build as a forest hovering over. With the structure winding across the tower vertical vertical, designed to create a green landscape in the middle of the city, crowded. Cross-sections at Empire Tower 88 give rise to images of suspended ladders radiating in many directions centered around the center. In the base block area, the point connecting the tower to the ground is designed in the shape of terraced fields on the hills. 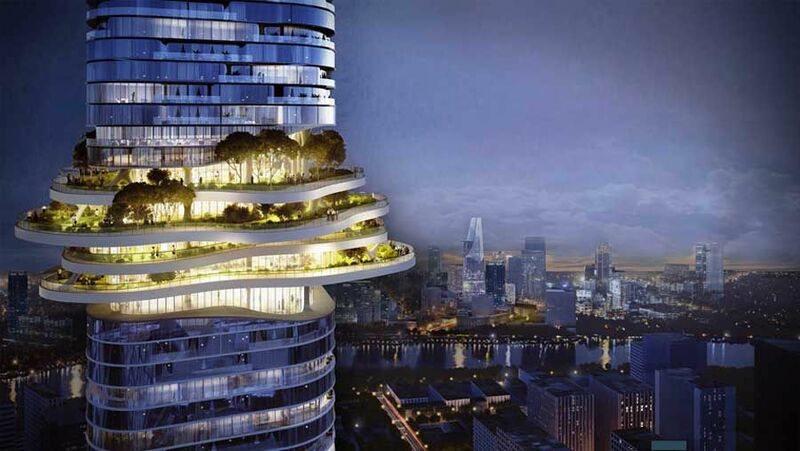 This is a very heartfelt design that the owner wants to create for the residents of the Empire City project, bringing the beauty of poetic beauty of Vietnam. The garden in the cage consists of open spaces that give the residents an exciting experience. 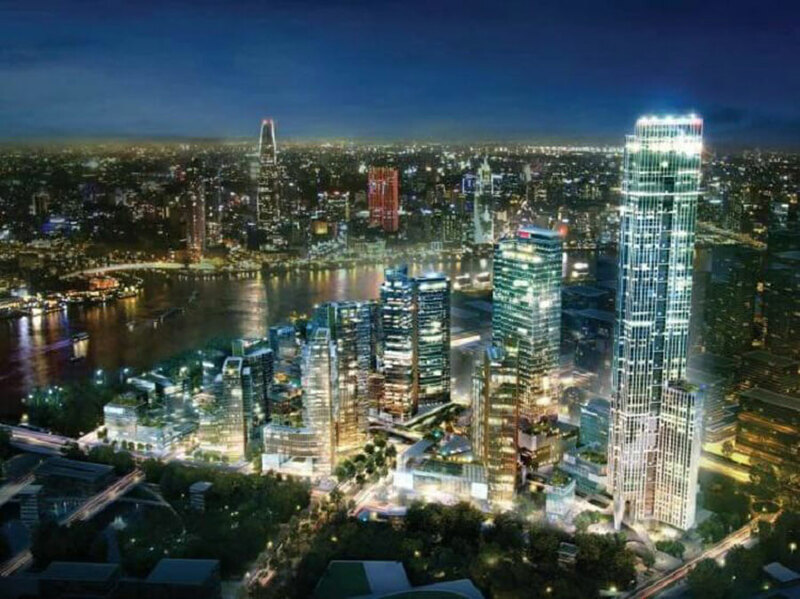 Empire 88 Tower is located in the Empire City project, built by three prestigious investors: Keepel Land (Singapore), Tien Phuoc (Vietnam) and Gaw Capital Partners (UK). The design of the 88 Tower was taken over by the world-famous architect Buro Ole Scheeren. This is one of the famous architecture companies with a number of large scale projects such as The Interlace (Singapore), DUO (Singapore), MahaNakhon (Bangkok, Thailand), Guardian Arts Center (Beijing , 1500 West Georgia (Vancouver, Canada) and Riverpark Tower (Frankfurt, Germany). The representative of Scheeren expresses the desire to create architectural works in which both nature and human beings can coexist. In that work, nature was not restricted to the surface, but also to the sky. 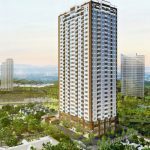 What’s special about Empire 88 Tower – Empire City? Empire 88 Tower includes apartments, hotels as well as public observation deck. In addition, at the central tower there is also an on-site event called Cloud Space. Next to the tallest tower, the two remaining towers with a uniformly designed base also include offices and apartments. Built in modular structure, the community living area is easily connected to the commercial area and entertainment area. Empire 88 Tower – Empire City is also home to a number of plant species associated with aquatic life. 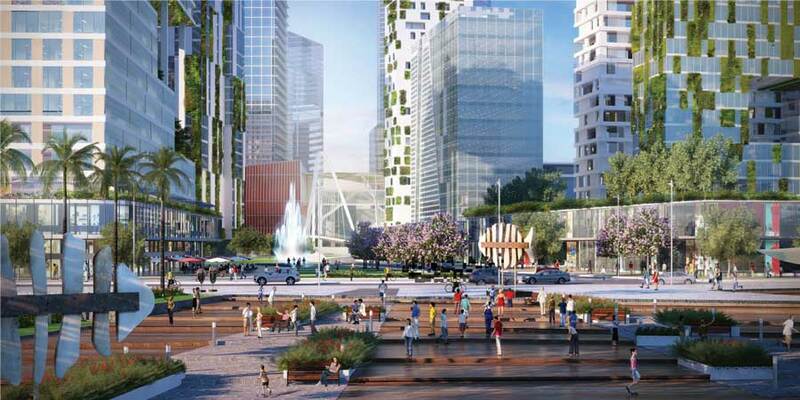 This scene promises in the future will bring a glimpse of the image of green space hovering between the clouds in the center of the city. 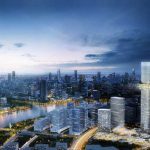 You are reading the article Terraced fields at Empire 88 Tower – Empire City in the Real Estate category at https://realestatevietnam.com.vn/. Any information sharing, feedback please contact through Hotline 0909890897 (24/7) or email to info@realestatevietnam.com.vn. 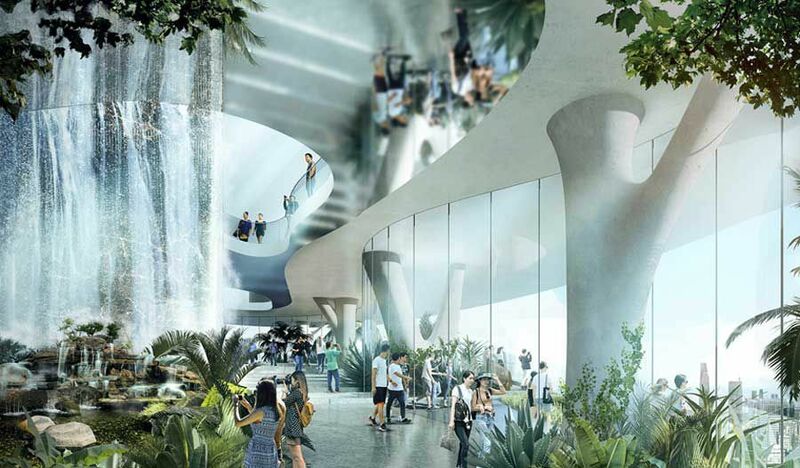 Empire City Project: The 88-story tower will allow the public to explore the forces of nature.